With so many people feeling the squeeze put on their finances in recent years, a growing number of people are looking to figure out ways to save on their expenses going out each month. One of those big expenses is auto insurance. How do people lower these premiums? This is a question many drivers are asking today. Sadly, just like with anything else these days a credit score holds the most weight in terms of getting the best insurance rates on the market. It’s important for people to remember this, and take steps to improve upon their credit score before asking to receive a quote. Obviously, these are things like paying credit card bills on time, having the utilities caught up, and usually for about six months to see any real positive changes. However, it’s important to do this because a credit report doesn’t just affect insurance premiums, but a whole host of other expenses going out every month that are impacting the bigger picture. Once they graduate with a passing grade on their credit report, there are other factors that are also at play here impacting the auto insurance premium. One of those is age. In fact, young adults under the age of 25 are likely to pay more no matter how good of a driver they are. Speaking of good driving, this will also play an important role as carriers will take a look into the driver’s record. Obviously, if they’ve had a wreck, two seatbelt violations, and a handful of parking tickets then this will not help their cause. Driving safe, and keeping the record clean is the easiest thing on the list for people looking to lower their premiums. Another thing to consider is the location of the vehicle. Here, if the driver is living out in the countryside they’ll probably not have to pay as much as someone living in the city. Obviously, if the car will be driven around an area that is congested with traffic this will impact their premiums. There is also theft or inadvertent damage that providers would take into consideration for those living in more populated areas. Lastly, the type of car the driver has will also influence their premiums. A sports car capable of reaching 200 mph on a highway is not likely going to fly under the radar of insurance providers, and will see hefty premiums as a result. Age of the vehicle and make will also be determining factors. In the end, and it bears repeating, the credit score is easily the heaviest factor considered when an insurance carrier sends out a quote. It seems silly, but this is the case for most things in life anymore. Keeping all these things in mind, however, will give drivers a better understanding about these insurance costs, and more importantly what they can do to make their premiums go down and start spending that extra money on the finer things in life. If you are looking for one right now to cover your car, it is ideal for you to take a look at Costco auto insurance as the company does offers some attractive packages which been relished by a lot of car owners. You may get one that suits your need as well if you try to figure out what they got for you. There are a several important factors that most insurance companies use to determine car insurance premiums. As a driver, it is important to note that you can influence most of these factors. This post will discuss six factors that influence your car insurance premiums. Over the years, car insurance companies have collected and analyzed a lot of data on motor vehicle safety. These analyses have helped the insurance companies, and continue to help them, to come up with vehicle insurance ratings. Customers with safe vehicles are offered discounted premiums. There are even insurance providers who hike premiums for drivers with higher histories of theft, occupant injury, and damage. This means you should do some vehicle research before buying a car and buy one with relatively strong safety ratings. Car insurance providers give you the option of selecting your deductibles and choosing whether or not to add additional coverage that may not be required by state regulations. You should know that the specific terms of your coverage and deductibles have a huge influence on your monthly premiums. In general, a higher deductible will result in reduced premiums, and the reverse is also true in most cases. If you wish to opt for additional coverage, you will get more protection, but you will also be increasing your premiums. In general, drivers under the age of 25 are more likely to be involved in accidents than drivers of other ages. The probabilities are even higher for single male drivers of that age. A brief overview of insurance prices across several states will reveal this. Age is not a very easy factor to influence, but some states have driver safety courses you can take to enjoy low premiums. If you have a bad driving record, you will have to cough up more in premiums than those with good histories. If you wish to maintain your low premiums, you must strive to remain accident-free for many years. In case you have an accident in your driving history, you should remain vigilant so that you can enjoy reduced premiums as time goes by. The insurance companies will also be interested in how often you drive, and the distances you tend to cover when you drive. This is one of the reasons why those who use their vehicles for business trips, especially long distance trips, usually pay high premiums. This factor is based on the reasoning that the more you drive, and the farther you drive, the more likely you are to be involved in an accident. To keep your mileage and frequency of driving low, you can use your bike some of the times, use public transportation or even join a car pool. That way, you will be offered low premiums. Insurance companies will also use your frequent driving location(s) to calculate your premium. This is based on the premise that some locations are more risky for drivers than others. For example, urban areas are more renowned for high rates of accidents, theft and even vandalism of vehicles than rural areas. Thus, you can limit your urban driving to enjoy low car insurance premiums. As you can see, there are many factors that influence vehicle insurance rates, and the list above is not even exhaustive. This means you cannot afford to buy car insurance without shopping for the best rates available. 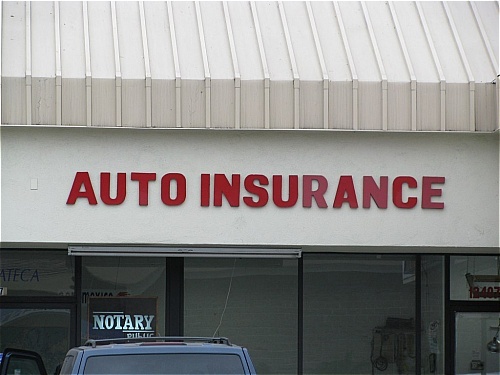 There are several avenues for doing this, for example, AutoInsurance.US provides free car insurance rates quotes. Smart shopping online will get you the lowest rates possible. One of the first steps that you should take when trying to lower your premiums is to spend an hour or two shopping online for a new policy. Auto insurance is big business and companies compete for clients. Use this competition to your advantage in the way of lower prices. You aren’t required to stay with your current company a minute longer than you choose to. Switching auto insurance companies can save you hundreds of dollars per year. If you’re in the market for a new car, choose one that you can insure cheaply. Look for a list of the most frequently stolen vehicles and avoid buying one at all costs. Additionally, no matter how sporty you want to be, opt for a family sedan. You may also want to buy used instead of new; used cars are almost always cheaper to insure. You may not know it, but your credit rating has a huge factor in your insurance costs. Unfortunately for some people, your rate is partly based on your credit history. If you have poor credit, start working on making it better. You won’t realize immediate savings on your premiums, but you will get a better rate in the future. If things in your life have changed, contact your insurance agent and ask about any discounts that you may qualify for. If you’ve gotten married, changed jobs, moved or even graduated from college, you may be eligible for discounts that you weren’t aware of. You can often receive a decent discount on all of your policies if you transfer them to one insurance company. Instead of insuring your home, auto or life with separate companies, look for a company that will shave money off of your premiums if you combine your policies with their agency. If your deductibles are currently set at $250 or $500, consider raising them to $750 or $1,000. You’ll be amazed at the amount of money that this will save you on your policy. You can save up to 30 percent just by raising your deductibles. Look at your policy and see if you’re paying for things that you don’t need. For instance, if you have rental and towing coverage, you may be able to drop them if you belong to AAA or have these coverages through your finance company. If you have an older car sitting in the driveway, you may be able to safely get rid of collision and comprehensive coverages. If you are looking for ways to save money on your auto insurance, any or all of these seven tips can help you put cash back in your pocket. Don’t make the mistake of thinking that you are stuck with high insurance premiums. By making a few phone calls, browsing the Internet and revisiting your policy, you may be able to save hundreds of dollars a year.